The following is a review of the hair product, Hair Essentials. The manufacturer of this product claims that not only can it reduce the thinning and shedding of hair but it can also increase the growth of hair and improve the overall condition and appearance of your hair. Read on to learn more about its ingredients as well as our opinion of whether it is the right product to take for the growth and health of your hair. Other ingredients include cellulose, silicon dioxide, magnesium stearate and rice flour. It is recommended that adults take three capsules of this product daily, preferably with a meal to enhance the process of digestion and the absorption of ingredients. The side effects of this product are quite rare which is why this product is considered safe for long term use. However, if you are pregnant or nursing then you shouldn’t take this tablet. Also, if you have a health condition for which you are taking any other medicines then you should consult your doctor before using this product. In case of an allergic reaction to any of the ingredient in the product, you should contact a doctor immediately. The price of this product listed by the manufacturer on the website is $39.99. The manufacturer also offers a discount of $19.98 if you purchase three bottles of this product. The manufacturer of this product offers a hundred percent money back guarantee. So, if you are not satisfied with results of this product then you can get a full refund without any hassle or questions. The manufacturer has specified that you have up to ninety days to return it after purchase. The reviews of this product are also positive. Hair essentials can improve the health of your hair and make them thick and full. It is suitable for all hair types and works for both men and women. It can also repair the damaged follicles and improve the loss of hair caused by stress, hormonal imbalance, thyroid disorder, allergic reactions, infections and nutritional deficiencies. 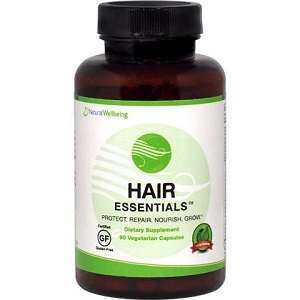 It reduces the quantity of a hormone known as DHT from the hair follicles which is responsible for its shrinking. It can also repair damaged follicles and promote new hair growth. However, it is only meant to address the deficiencies in our body and is not intended to be used in any way to diagnose, cure or treat an illness or disease. Additionally, it’s a bit more expensive than competetors and may be out of the price range of certain consumers. John Brownstone	reviewed Hair Essentials	on July 29th	 and gave it a rating of 4.